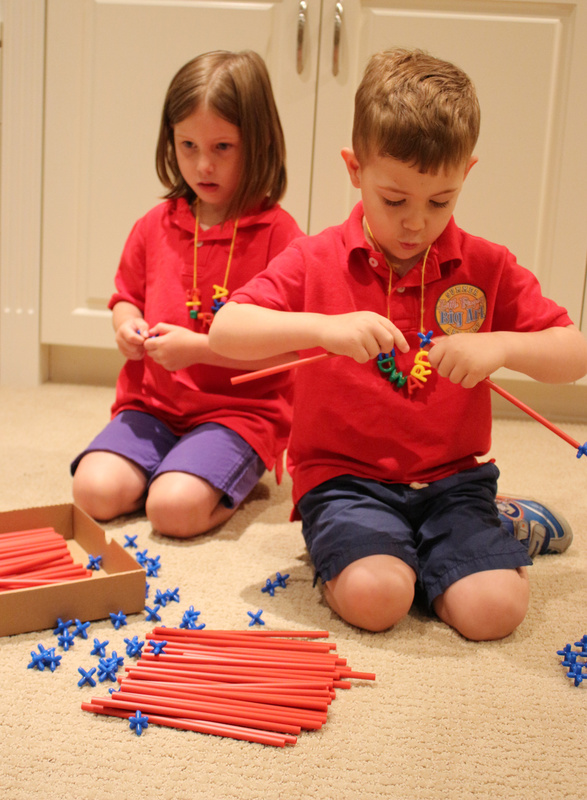 We first started building our fort using Straws and Connectors. Here, Ed is separating the Connectors from each other. 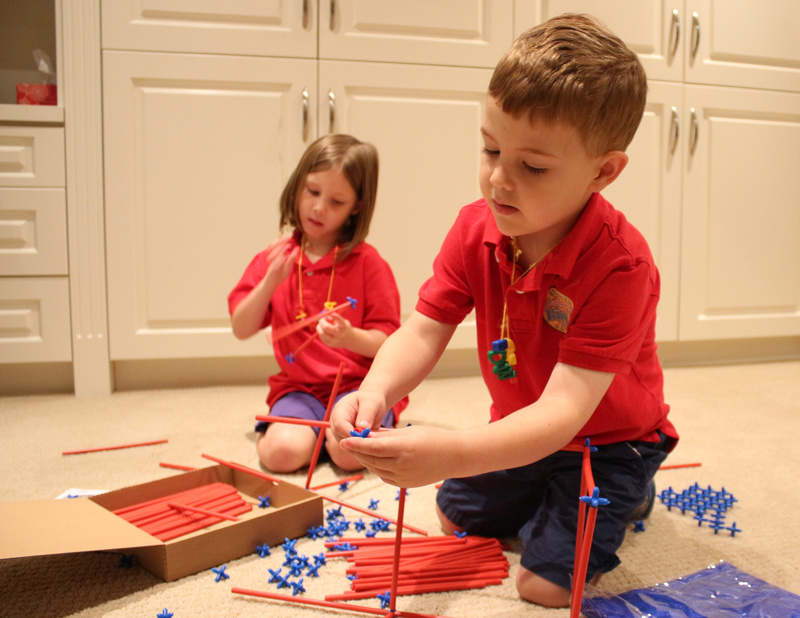 We taught the campers how to connect the Connectors together with the Straws. 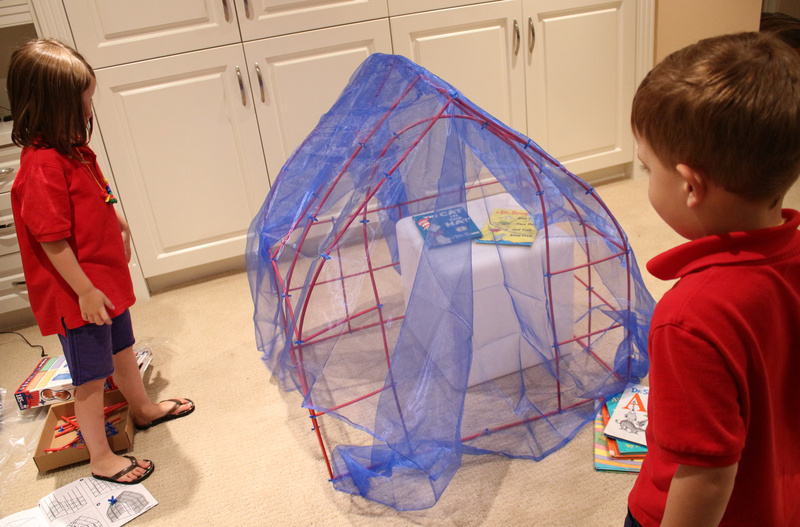 This was the starting point for building the reading fort. 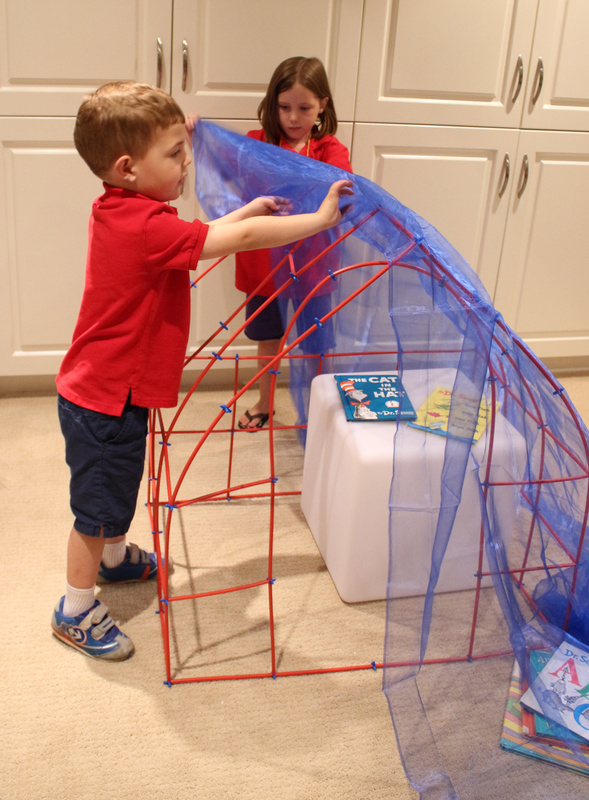 The diagram for building this reading fort can be found here! We all worked together to build the fort, starting with the base and working our way up. The best part is guessing what the final sculpture will look like! It’s one thing to see it on paper but another to see it in real life. Suddenly, we all got excited and started building faster. After we built the base, we joined the roof together with a point at the top. The Straws and Connectors pack comes with a large blue veil that can be draped on top of the Straws and Connectors structure to make it enclosed. 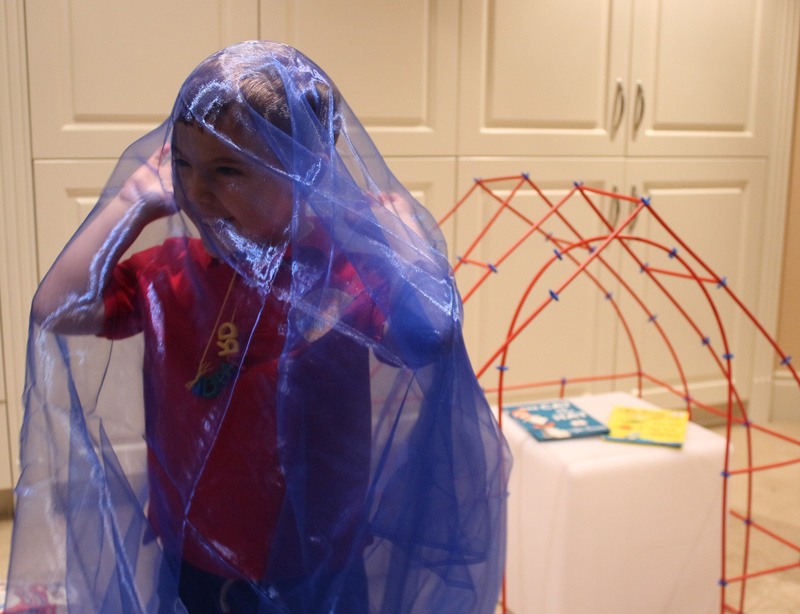 Ed got excited to put the veil on top of the structure but he soon realized he needed some help! This is what teamwork is all about! Here comes Sierra to help Ed out. Almost finished…! Now to turn on the Light Cube to complete our reading fort. 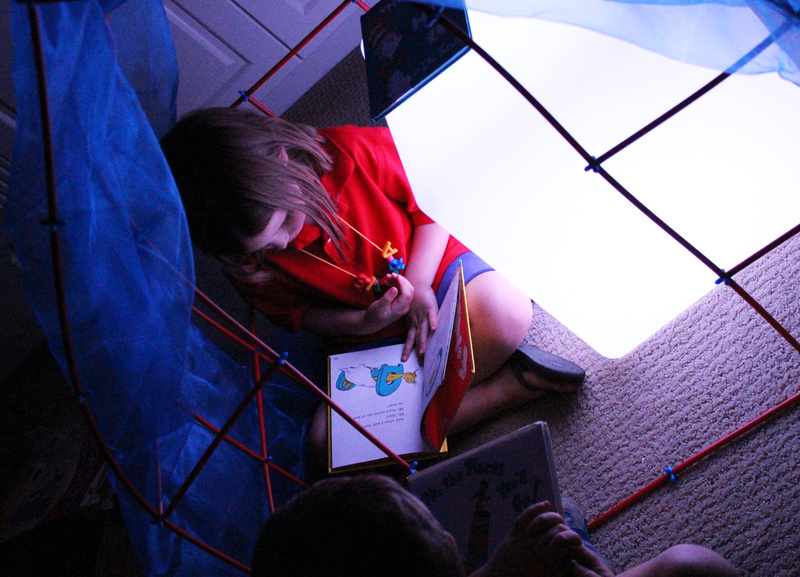 The soft glow of the Light Cube made reading enjoyable and calming at the same time. 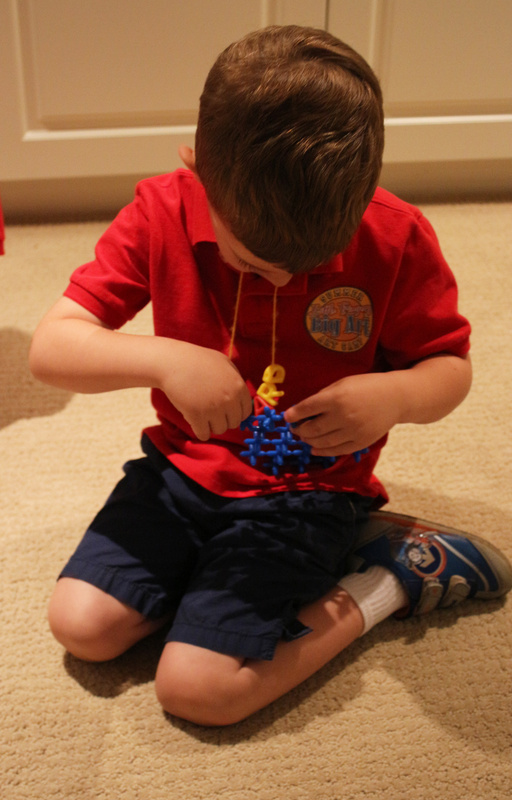 Both of the campers became so immersed in their reading, they forgot about all the crafting going on outside. 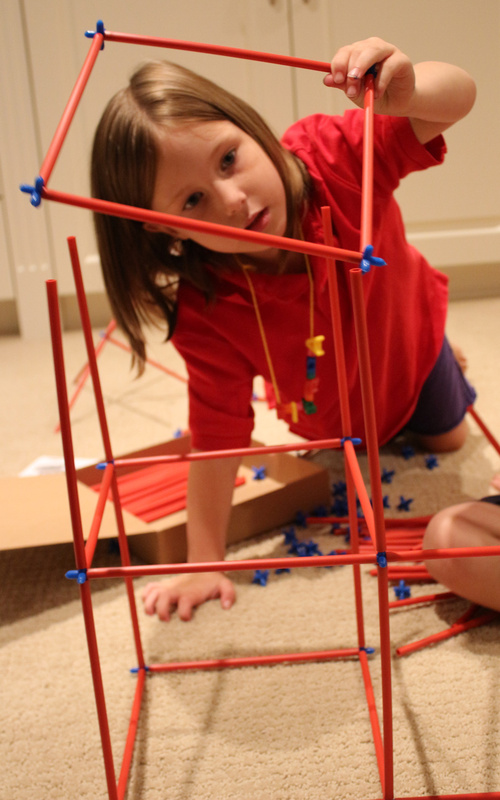 This is a perfect project for your classroom that your students will love to build, and later, use for themselves. The reading fort is also a great place to store the Light Cube when not in use for sensory explorations or when you would like to center excitable students’ attention on quieter projects. 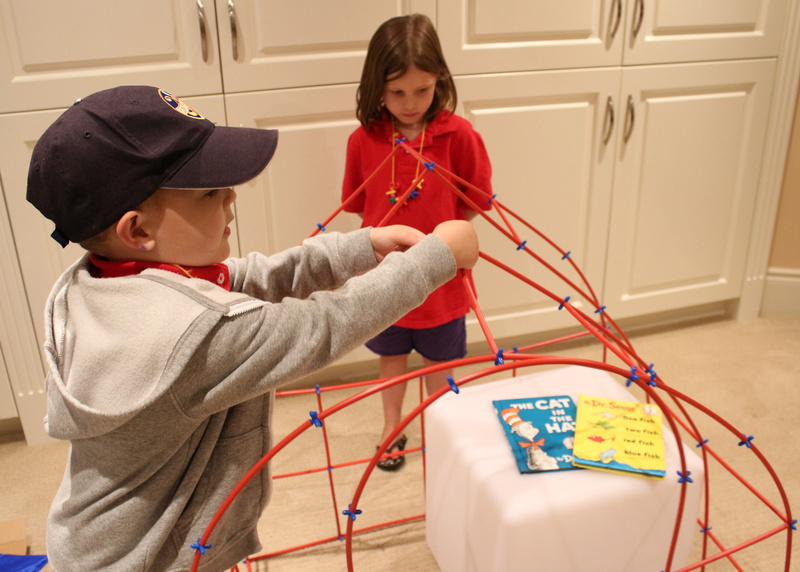 This entry was posted in Big Ideas and tagged kids games, light box, light cube, light table, literacy, literacy corner, reading, reading corner, reading fort, reading light, tent play by roylcoblog. Bookmark the permalink. The Light Cube is a wonderfully versatile light source. It can be used in many different way including as a light table. Here is shown as a light inside a reading fort.